Bringing all the functionality of a traditional multi-cooker but with the added convenience of automated stirring action, the Tower 5 litre Digital Multi-Cooker cooks delicious meals with a minimum of fuss whilst preserving 95% of vitamins and using 90% less fuel than standard cooking methods. Packed full of functionality and featuring 700W of cooking power this versatile appliance can handle all manner of ingredients and, thanks to its large 5 litre capacity non-stick cooking pot, is able to make a meal to feed the entire family and more in one go. A simple to use backlit LED control panel makes choosing from an array of pre-programmed cook functions staggeringly simple and 24 Hour Keep Warm function allows you to have your food when you are ready, not when it is. Very pleased with the way it cooks porridge. The stirring paddle is much more robust than the multi-cooker I used previously. Good number of functions for the price but very poorly explained in the instruction manual. Overall probably tries to do too much. I wish I had bought one years ago. Perfect for soups, stews, etc., I have now donated my steamer and slow cooker as this nice looking machine does it all, and more.\nWould have loved a nice recipe book with it, but did get some ideas online. I wish I had bought one years ago. Perfect for soups, stews, etc., I have now donated my steamer and slow cooker as this nice looking machine does it all, and more. Would have loved a nice recipe book with it, but did get some ideas online. Quite satisfied, instructions a bit vague. Steaming not as accurate as previous multi cooker, but overall quite good results. I was very excited to receive my multi cooker as I had seen it on the television. That is where the excitement ended, yes I received a safety manual but where was the instructions for cooking any item ie how do you cook rice what is the ratio water to rice? if you want to cook meat do you add any water to the multi cooker?. I have also purchased Tower Digital pressure cooker and the booklet tells you how to cook with it. It's simply amazing, perfect , fantastic and very easy to use. I'm happy with the two products I bought from Tower. 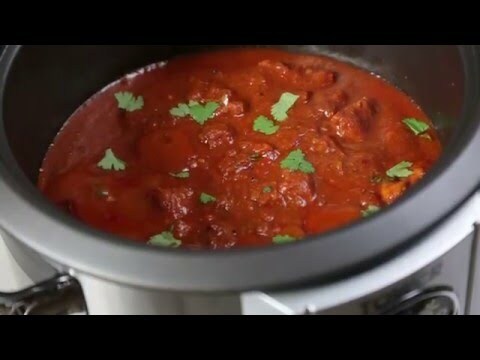 This pressure cooker is excellent and cooks. Very well. It makes my life so much easyer. As I am disabled. With arteritus this is the best kitchen tool I have . Ever had and at a very good price. Easy to use. Very quiet compared to older ones. Delighted with it. first multi cooker I have used found it easy to use & very efficient, set the programme & leave it. Also very easy to clean. a present for myself, top quality product, price seems unbeatable, delivered as fast as possible.\ngreat stuff Tower !